Have a butcher's at Ello Mate! Studio. 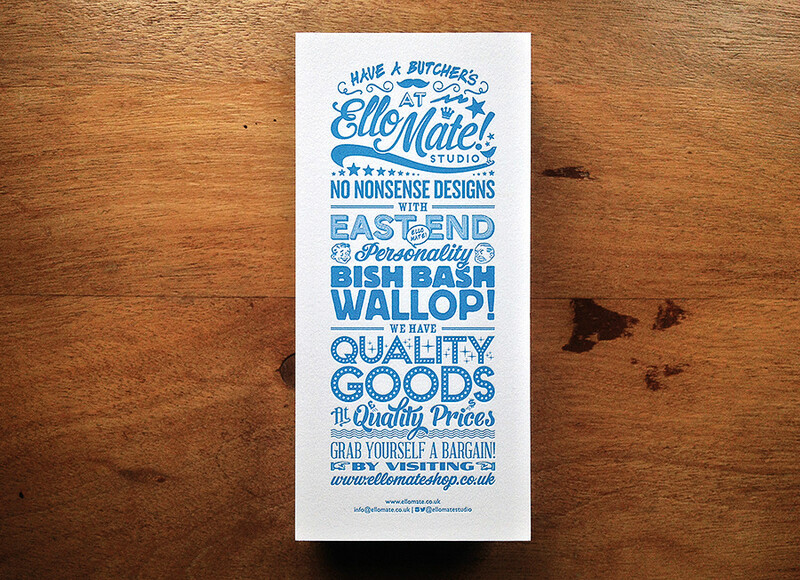 No nonsense designs with East End personality. Bash bash wallop! We have quality goods at quality prices. Grab yourself a bargain! 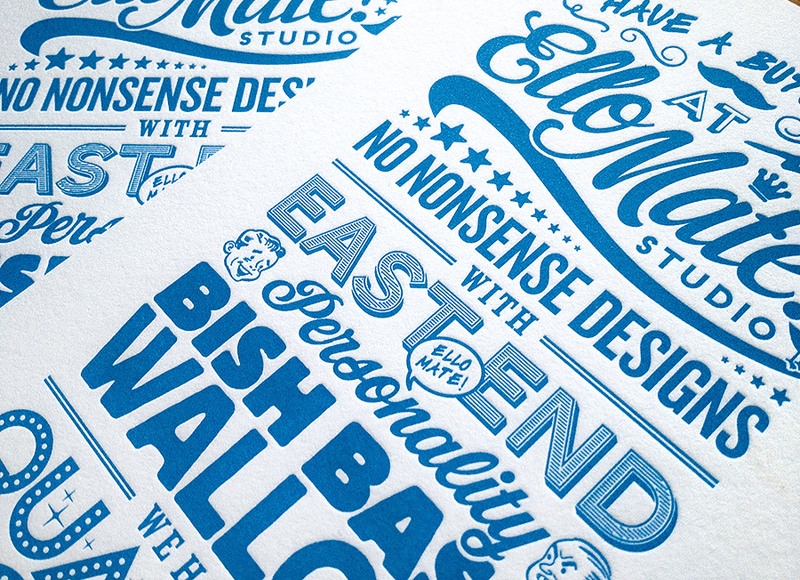 DL Letterpress - Printed by Blush Publishing in Greenfield, Wales.